More than 2 in 5 Americans said that they are less productive without coffee. Those in the Northeast are more dependent on coffee, at 48%. The South was at 45%, West at 44%, and Midwest at 34%. 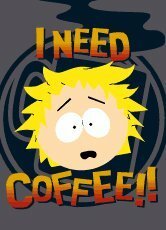 Younger workers are more dependent on coffee than older workers, with 40% of American workers aged 18 to 24 stating that they can’t concentrate as well without coffee. Also, 43% of workers aged 18 to 34 stated they have lower energy if they don’t drink coffee.